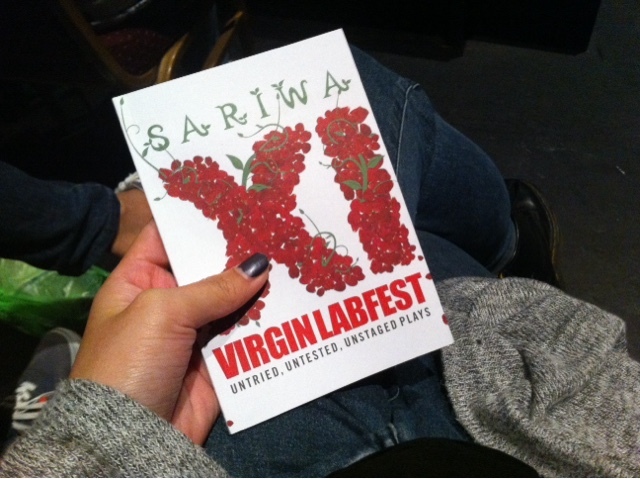 And what an experience it was to be able to witness some of this year’s productions for the Virgin Labfest. 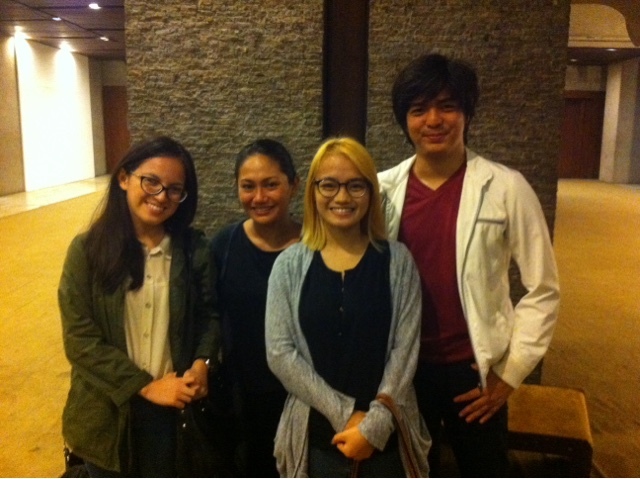 Now starting its second decade, the festival continues to be an avenue for aspiring playwrights to showcase their untried, untested, and unstaged plays with “Sariwa” as the 2015 theme. Plays are deemed to be more intimate, stimulating all of our senses as it simultaneously creates a new reality for the audience to witness and become part of. For years the annual festival has provided the stage for young writers, directors, stage production members, and actors to experiment and “de-virginize” their whimsical, cut-throat, or satirical mind creations into a beautifully compelling reality. For the countless people involved in the play productions, most importantly the playwrights, the festival is their baptism of fire, to debut as artists or to let their creative pieces spring into life for the first time, subjecting both to the indulgence and criticism of its audience. For those who missed last year’s festival, three of the best plays were revisited. It featured different genres from melodrama to sitcom to give the audience a taste of what was offered in the previous year. The fluidity of lines and actions, the different heightened emotions and characters, and the multitude of gripping messages that each one-act play showed exactly why it was worth staging once more. Three siblings have an unlikely reunion in the hospital as the youngest of their brood, Intoy, is in the ICU after suffering an aneurysm. They are already running out of time to rescue their brother, but they chose to uncover old scars and years of jealousy and bitterness against each other until it was too late. After 20 years, Jimmy and his daughter see each other for the first time. The old man is filled with remorse after his stay in the prison, struggling to create new beginning for himself, and on his own. He is enthusiastic for a seemingly lucrative life as a butcher in Canada, if only he can finish writing all the documents needed for his application. He seeks help from his eldest, Jeanette, who has accomplished so much in his absence. She is empowered and cynical, scrutinizing every bit of hope her father has, and downplaying his dream against what she regards as milestones, not knowing that her father’s goal is built on his memory of her childhood longing for Canada. A story of forgiveness that takes your feelings to the edge, creates a lump in your throat, and makes it easier for gravity to lure your teardrops down the moment the lights turn off. Three students were said to murder Dedels, the beloved goldfish of their retiring Science teacher, Professor Dimaandal. The play poses too much conflict for a single plot, entangling two parents who were former high school lovers, a neophyte homeroom adviser struggling to make sense of the traditional and restricted logic of teachers who have grown old in the profession, and the goldfish’s cause of death that was never decided on. The story sheds light on the ironic downside of trying to make too much sense out of the empirical, and how sometimes the grandeur of solutions clouds its initial purpose. The play was said to be based on true events, however, I am unsure of which parts of the story really took place in real life. Probably one of the plays that was really heavy on the feelings, and possessed the most convincing true-to-life set design. The story revolved around Myrna, who doesn’t need a crimson letter to let the whole barangay know of her libido and track record of ridding young boys of their virginity. But Myrna is past her prime and desperately craved to be desired by men once again. She subjected herself to the lowest of conditions to be taken to bed, and even helped a man to sexually abuse and murder of a seven-year-old girl just so he would visit and stay in her shanty. With her life threatened, Uod successfully deceives Myrna, as he does the audience, of his love and good intentions that was all part of a meticulously ironed plan to permanently silence the baranggay’s sole crime witness and bearer of evidence. Myrna let herself be objectified by men to the point that she has assigned it as her identity, and ultimately designed her end. The females were portrayed with weak characteristics: shallow, gullible, desperate, and dispensable. Nuclear scientists Sam and Jo are able to transform the particle accelerator into a machine that renews energy and makes time-travelling possible. Sam comes back to the exact moment he met Jo to stop a future extramarital affair from blossoming and prevent his future self from pushing Jo into the accelerator during a fight. The story had the makings of a romantic comedy. The concept of time-travelling essentially complicate things, the timeline altered indefinitely which paves way for different theories on how the two managed to end up together in the end. A typical story of a girl that was made to believe that she was only assuming the already obvious chemistry shared with a boy, and a naïve boy who thinks refusing someone affords him an option to come back to. Ma’am Debbie is a Psychology professor in her late 30s and has developed feelings for her former student Lester. The two became close friends as she became Lester’s confidante and mentor, and as he spent time helping her check test papers. One night she decided to profess her love to Lester, only to be rejected by the young Medicine student as he reveals his current relationship with his blockmate Tricia. Two years later, Lester is no longer the timid and quiet student. He is now a husband and a young father, and already too late in realizing his feelings for Ma’am Debbie. I wasn’t able to watch this one but it’s based on my favorite short story titled “Kite of Stars” by Dean Francis Alfar. Deeply lovestrucked with a boy who cared for nothing but the stars, Maria Isabella takes on an implausible quest to find materials for a kite that would enable her to become part of the night sky. Her adventures spanned for six decades and were all shared with a humble butcher boy. Carried away by the single sightedness of love, with tragic ending that leaves no character with what they’ve desired. I am quite qualm about seeing it on stage, as I would like to keep each line and each scene in my memory as I have read and imagined it. I fear that the elegance of the narrative and its surreal promises would be lost. But it is a story that I would never tire to let others know about, may it be on book pages or on stage. Playwright Eljay Deldoc Director Ed Castro, Jr. Novel plays handpicked from hundreds of scripts have been shown in the past 11 years and the festival isn’t new at taking risks to explore different dynamics and fresh concepts to possibly reach the uncharted depths of Philippine Theatre. The Virgin Labfest XI is until July 12, 2015. 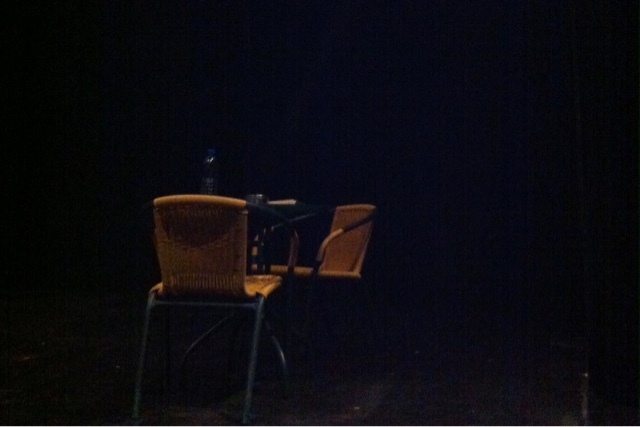 Each set features three plays and tickets are worth P300.00 each. The writing and reading of plays by the fellows of Writer’s Bloc, Inc will also culminate the whole festival.